Ron brings to MCS more than 25 years of Medicare Advantage, Part D, commercial and marketplace health plan operations and compliance experience. Ron was recently the Vice President of Compliance for Clinical Partners Group. In this role, Ron was responsible for providing clients an expert resource for developing compliance and ethics plans and implementation of operational and compliance best practices. Ron has also held several executive positions with several blue-chip organizations such as Molina Healthcare, WellCare, UnitedHealthcare, Anthem Blue Cross, Blue Shield, CalOptima, and PacifiCare Health Systems, with oversight of several markets in California, Texas, Colorado, New Mexico, Utah, Washington and Hawaii markets in the areas of enrollment, member services, appeals, grievances, compliance, and internal audit. 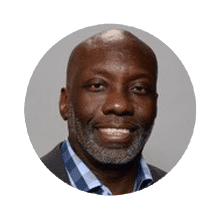 Ron’s areas of expertise and focus are new Medicare Advantage and Part-D plans operations management, delegation oversight, developing compliance plans, creating detailed employee and provider compliance training for fraud, waste, and abuse (FWA), and developing corporate policies and procedures. Ron also brings several years of audit experience with the Centers for Medicare and Medicaid Services (CMS), the CA Department of Managed Health Care (DMHC), and National Committee for Quality Assurance (NCQA) audits.